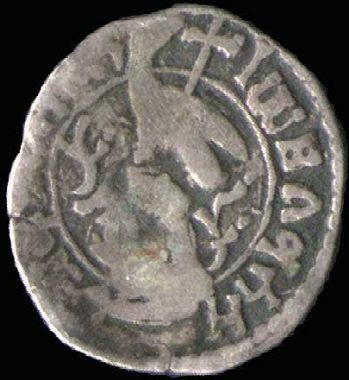 The first medieval coin appears on this page through the kind permission of Mr. Vladimir Khomutov from Moscow. 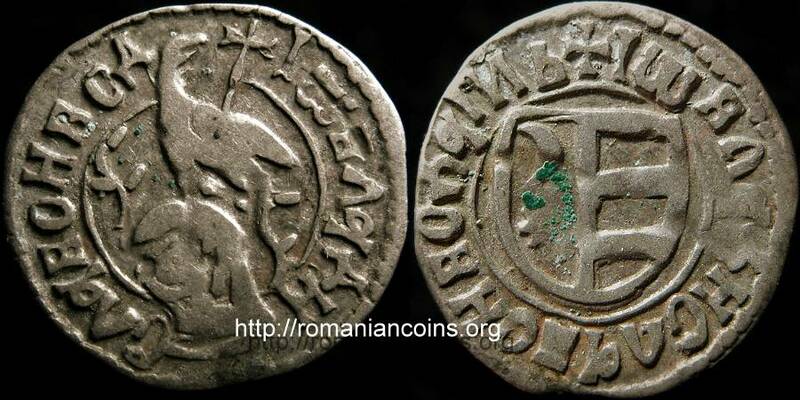 The second Walachian medieval coin on this page belongs to the collection of Mr. Bogdan Costin, through the kind permission of whom the pictures are present on Romanian coins. According to Monede şi bancnote româneşti by George Buzdugan, Octavian Luchian and Constantin Oprescu, this old numismatic piece complies to the common Walachian ducat type. 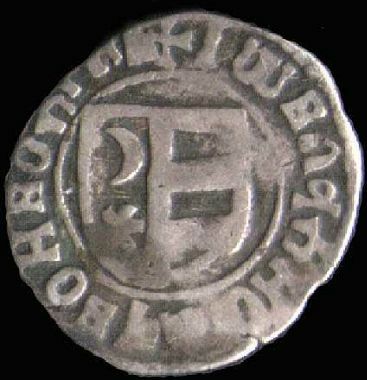 The coin was struck by Vladislav II (1447 - 1456), son of Dan II (1420 - 1431, with interruptions) and brother of the future prince Basarab the Old Laiotă. He is then nephew of the greatest Walachian prince, Mircea the Old. Vladislav II asserted and took the throne of Walachia with the help of Iancu of Hunedoara, the Romanian governor of Hungary. As ally of him, Vladislav participated at the anti-Ottoman campaign in 1448, ended in defeat for the Christendom at Kosovopolje (Blackbird Field) in Serbia, that is for the second time. The estimations say that this battle had about 3.000 Moldavian horsemen and about 4.000 Walachian bowmen involved. While the prince was away, Vlad Dracula the Impaler grasped the throne for the whole month of October, with Turkish support. "[Although] I, my boyars, and my country have spilt our blood for the Holy Crown, for Hungary, and for the Christianity, no matter how much we have sworn, our father, John voivod [i.e. Iancu of Hunedoara], does not care, and he was not pleased with my work, because it is not enough for him to be the Governor of Hungary, but he also had to take from me my estates and my territories of Făgăraş and Amlaş, and he acted badly towards me; and you can see that he broke the oaths and promises he made to me. Let God avenge on the one not guarding the faith. And myself, despite my dire strait, will not leave what is mine unless my head withal." Subsequenly the prince raided Transylvania along the Turks, with little succes. He was overthroned by Vlad Ţepeş (Vlad III, Dracula, the Impaler) that came in 1456 with support from Iancu of Hunedoara. Vladislav died during during the war, at Tîrşor as the chronicle says. It seems like the future Vlad the Impaler cought and beheaded him.